Many people don’t think about how dangerous DIY garage door repairs can be. Even a simple mistake could result in a devastating, life-changing injury – and that’s not an exaggeration. While there are some minor jobs that homeowners can do on their own, the majority of them require the experience of a professional. 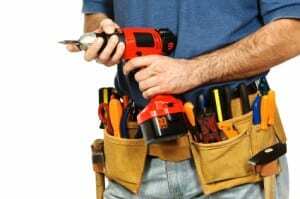 Here are a few of the repairs you should always leave to an expert. A door will not be able to function if one of the springs breaks. However, if you don’t have the right equipment and the right amount of training, you could be seriously hurt if you try to tackle a spring replacement on your own. Please call a professional instead. One of the most common garage door repairs is switching out a malfunctioning cable. But just because it is common, that doesn’t mean just anyone could do it. Cables operate under a great deal of tension and can become potentially fatal whips if they snap. This kind of job requires a great deal of expertise. Your door goes up and down through the use of rollers that are mounted on tracks. If a roller is broken or bent, or the track is bent, then the door cannot work. This kind of work is much too dangerous for a novice; even if you don’t get hurt, you could make the problem much worse if you try and work on it yourself. At Action Garage Door, we have performed all types of garage door repairs over the last three decades. No matter what sort of issue you may be experiencing, we’ve seen it many times before. We have the tools, equipment, and knowledge needed to take care of your job effectively and safely. Give us a call at one of the numbers on this page or contact us online to schedule an appointment.